In Autumn ’18 in Cracow about 950 Java enthusiasts came together. We went through the hottest Java topics and discussed the trends. This edition of JDD was special – because of the great networking, effective community and magnificent atmosphere. What makes JDD more popular every year? The community! JDD associates Java enthusiast, experts, programmers who are consistently hungry for knowledge and speakers who ask the right questions. Thanks to all of them, at JDD you can acquire knowledge about hot Java subjects, that appears nowhere else. JDD 2018 was unique: endless discussions, exchange of experience, practical solutions and numerous case studies, and – what is extremely important – the engagement of local communities and active attendees. It made JDD 2018 so alive! The atmosphere of JDD has become so friendly, that we all feel like one big Java family already. Congratulations to Michał Gryko – the winner of JUGmajster contest! „Docker internals” – this subject made Michał’s presentation attractive to the attendees. Michał got the highest marks in our application – Eventory. It’s worth to say it loud, that all attendees of JUGmajster contest presented high-quality lectures, so the competition was really fierce! 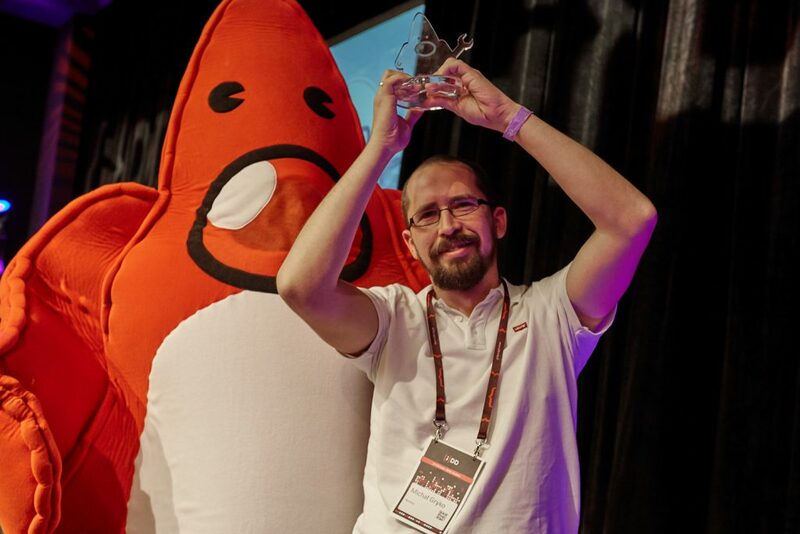 Organisers have already started the preparations to JDD 2019, in order to improve the coolest Java conference in Poland – for you! Even more Java fans, a great number of experts, the huge amount of substantive knowledge, live discussions, case studies, practice, networking, engaged communities, and unforgettable atmosphere – all in one place and time – this is JDD 2019! Next: Next post: JDD 2019 is on!